Bell today has added BBC World News to its Mobile TV line up, which brings the number 24-hour news channels to seven, joining CTV News Channel, BNN Business News Network, CBC News Network, Bloomberg TV, NDTV 24/7 and RDI. The addition of BBC World News will bring international news programming such as GMT, HardTalk and World Business Report 24 hours a day, 7 days a week for subscribers. 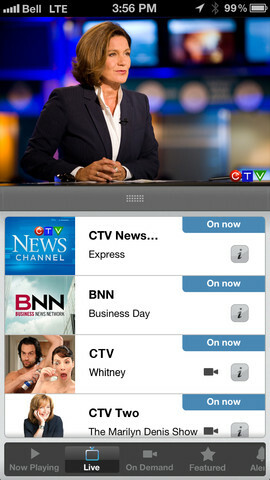 Bell Mobile TV for iPhone and iPad is free download to enable Bell subscribers to the service access to live television for $5 per month for 10 hours of video viewing. Are you a current Bell Mobile TV subscriber?